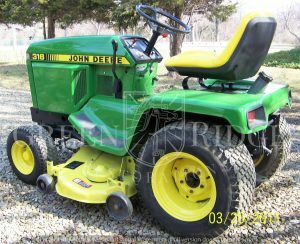 Produced for one year only – in 1986 – the John Deere 330 was a diesel lawn tractor that some people refer to as the diesel version of the 316. 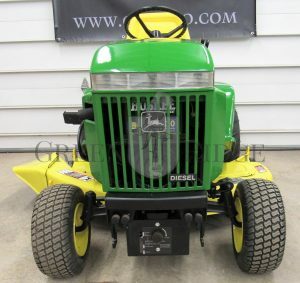 That’s because like the Deere 316 (shown in the image at right), this model lacked the power steering common on other more well-known models like the 318. With a Yanmar 16HP 3-cylinder liquid-cooled diesel engine, many consider the 330 to be Deere’s original diesel garden tractor. In actuality, the diesel-powered John Deere 430 garden tractor pre-dated the 330. The 330 was later followed by the 332, and you can read more about that model here. The 330 featured a 2WD hydrostatic transmission, and customers could choose between a 38”, 46” or 50” mower deck. Many attachments that fit other similar models like the 316 will also work on the 330. Note however that the 330 has H1 hydraulics versus the 318’s H2 hydraulics. This means that certain attachments that require H2 hydraulics will not work on the 330. Need parts for your Deere 330? Looking up parts on JDParts is an easy way to find what you need. You can also contact your local John Deere dealer if you need help. Most people remember 1986 as the year of the massive Chernobyl disaster. On April 26th, the lives of thousands of people would change forever following an incident at the Chernobyl Nuclear Power Plant in Pripyat, Ukrainian SSR, Soviet Union. Even today, experts disagree about the total number of deaths caused by the explosion. Also that year, the Challenger Space Shuttle was destroyed just 73 seconds into its flight, killing seven crew members. Eventually, the crew compartment and other fragments were recovered from the ocean floor. Tom Cruise and Kelly McGillis were heating it up on screen in “Top Gun,” the top ranking film of that year. 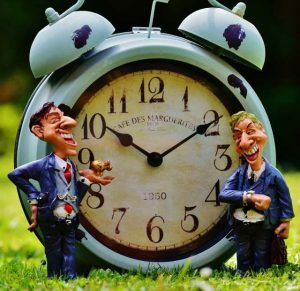 Other popular flicks included the Rodney Dangerfield classic “Back to School,” and the infamous “Ferris Bueller’s Day Off.” And who can forget “Platoon,” the action-packed film focused on the Vietnam War? Well, we hope you’ve enjoyed learning a brief history of the 330, John Deere’s first diesel lawn tractor – and travelling back in time some 30-odd years to relive some memories.